The three blasts were carried out by at least four people. 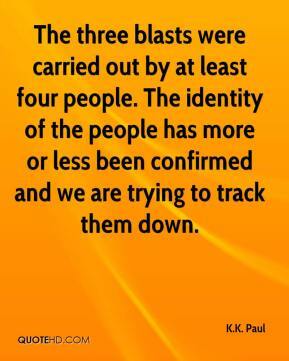 The identity of the people has more or less been confirmed and we are trying to track them down. Police have been receiving tremendous cooperation from the public. 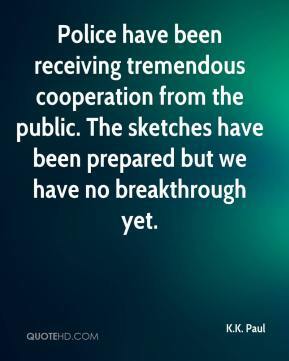 The sketches have been prepared but we have no breakthrough yet. 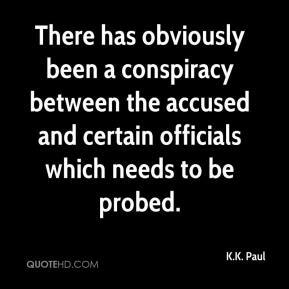 There has obviously been a conspiracy between the accused and certain officials which needs to be probed. 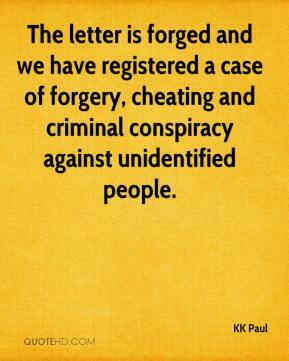 The letter is forged and we have registered a case of forgery, cheating and criminal conspiracy against unidentified people.